Trains built by German Mittelstand firm Siemens. Image: Siemens. German family businesses see their products and services as superior to foreign competitors, according to new research, which also revealed a high level of confidence among the sector, despite a slowing German economy. 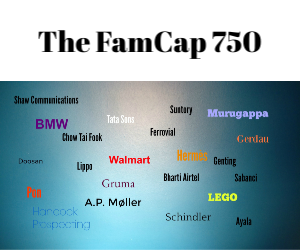 The research, carried out by Institut für Mittelstandsforschung (IfM) in Bonn, the Federation of German Industries and Deutsche Bank, found that 78% of the 400 family businesses surveyed reckoned that their products and services were superior to foreign competitors. The survey is indicative of bigger trends because family businesses are the backbone of the German economy – Europe’s biggest – comprising around 90% of businesses and employing around 60% of the workforce. Also, the report found that the US is likely to become the biggest export market for these businesses in the next three years, especially if the Transatlantic Free Trade Agreement is passed. Currently, France is Germany’s biggest export market. Although confidence levels are high among these businesses, economic growth in Germany shrunk to 0.3% in the first quarter, down from 0.7% in the previous quarter.